Our mountain cabin rental paradise in Northwest Arkansas offers privacy and comfort right next door to Buffalo National River. Plenty of wildlife and bird watching here! Four-wheelers and utvs welcome. 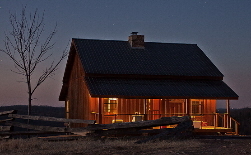 Designed for parties, reunions and group meetings of all sizes, this hilltop cabin sleeps up to 12. 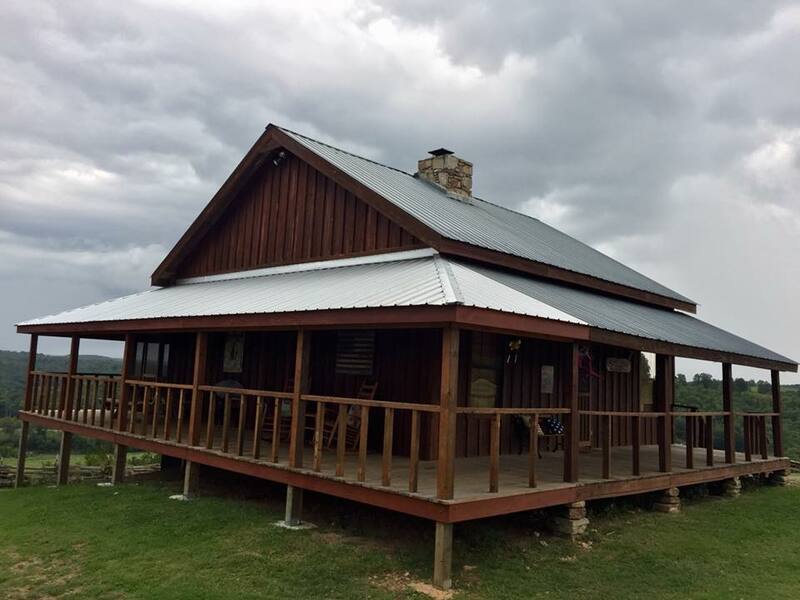 We named this special cabin with the panaramic view of the Ozark mountains Ferguson Homestead in honor of Libby's grandparents. They settled here, just below Tyler Bend on the Buffalo River in the 1860's. 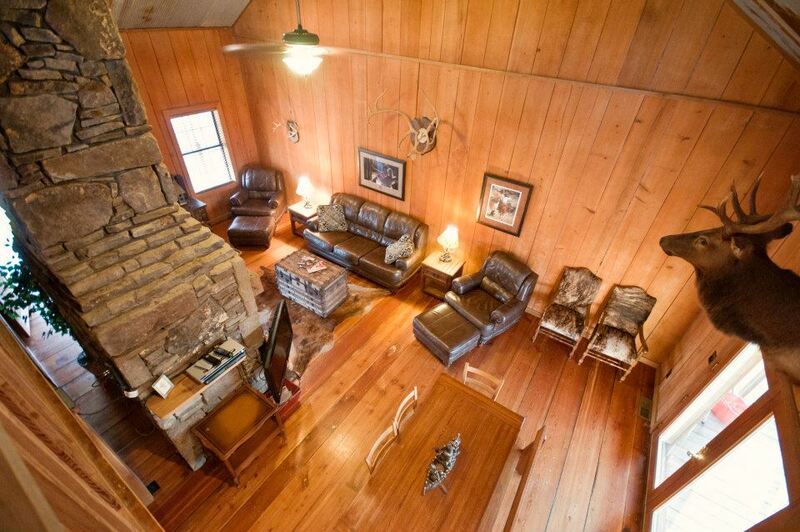 Centered around a massive stone fireplace, this Buffalo River log cabin sets a warm, friendly tone for meetings or conferences of any sized group. "We thoroughly enjoyed the cabin. The setting is just perfect. It made our family reunion extra special...Several cousins, kids and grandkids all want to rent the cabin. Ample indoor dining area and fully equipped kitchen can accomodate several generations at the same time. Plus there's room for outdoor dining on the big screen porch AND your own charcoal grill for outdoor cooking, too. 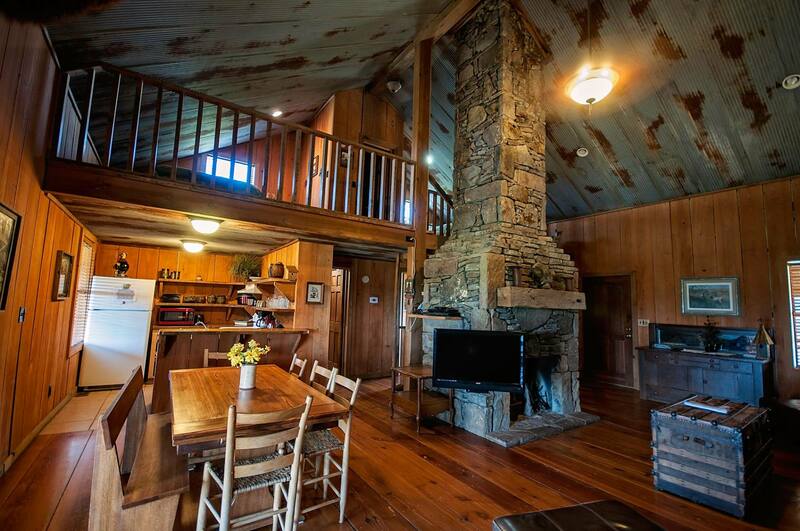 Full walk-out basement and rustic fire ring for moonlit campfires insure plenty of room for friends and relatives. "Our family had a delightful retreat here in this cabin. so we were not in anyone's way..."
Now, families from all over the country are making memories and establishing their own family holiday traditions in this special mountain cabin rental. "Our second time to say, this time we had our Thanksgiving Dinner and invited more family to come. It's a GREAT place for family to gather...I hope we make this our Thanksgiving tradition." 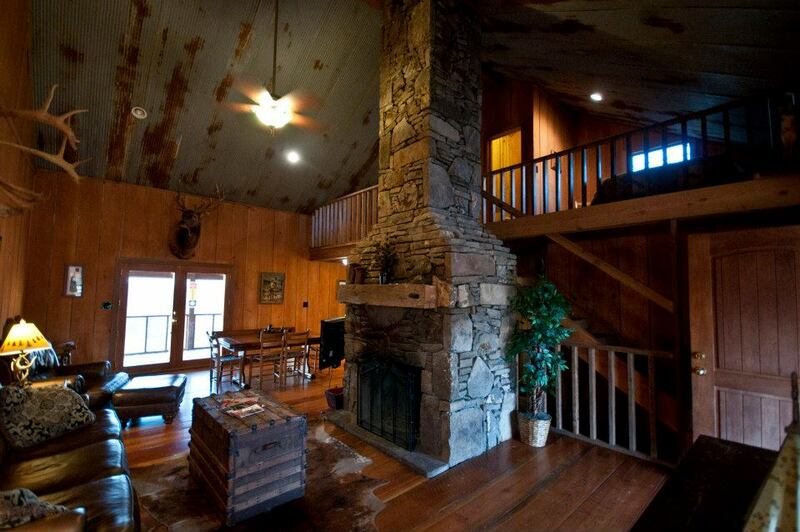 Whenever you visit the Arkansas or Missouri Ozarks, make our private third generation cattle farm your Ozark Mountains vacation headquarters. You'll save money over lodging accomodations in Eureka Springs AR or Branson MO. We're just a short scenic drive from these tourist attractions and many more.